The Indy Explains: What's in the Senate health overhaul bill and how would it affect Nevadans? Senate Republicans on Thursday unveiled their long-awaited bill to replace Obamacare, anxious to make good on years of attempts to roll back the former president’s signature domestic policy achievement even while a chorus of critics warns it will strip millions of people of health benefits. The bill comes a little more than a month after a different version squeaked through the Republican-controlled House. It mirrors many of the House bill’s provisions, such as eliminating the taxes on high income earners that underpin the vast health care expansion and limiting funding to Medicaid, while preserving some Obamacare subsidies that make coverage more affordable. Republican Senate Leader Mitch McConnell released the Senate version of the bill, called the “Better Care Reconciliation Act of 2017,” on Thursday. Senate Republicans have been writing the legislation out of the public eye, with specific language only being released Thursday morning. The legislation is similar to the health care bill that passed out of the Republican-controlled House in a 217-213 vote last month, but with some key changes. The Senate bill would still repeal the Affordable Care Act’s individual mandate to buy insurance, drastically cut federal support to states for Medicaid and eliminate taxes on the wealthy, insurers and others. But it would keep the subsidies provided under the ACA to help people pay for coverage, while lowering income eligibility for the tax credit. The nonpartisan Congressional Budget Office (CBO) estimated that 23 million people would lose coverage by 2026 under the House version of Obamacare. President Donald Trump called the measure “mean” and urged the Senate to be more generous with their version. The CBO said it plans to release a fiscal analysis of the new Senate version early next week. Four Republican senators — Sens. Rand Paul, R-KY, Ted Cruz, R-TX, Ron Johnson, R-WI, and Mike Lee, R-UT — said Thursday in a joint statement that they are not ready to vote for the bill, throwing the future of the legislation into jeopardy. The bill needs the support of all Republican senators except two in order to pass, assuming all Democrats vote against it. If they lose three, it will fail. Nevada Sen. Dean Heller during the Latin Chamber of Commerce luncheon Friday, May 12, 2017, at the Suncoast hotel/casino. Photo by Jeff Scheid. Nevada’s Republican Sen. Dean Heller did not go as far on Thursday after the bill’s release, saying only that he had “serious concerns” about the bill’s impact on Nevada and particularly the state’s Medicaid program. He said in a statement he would read the legislation, share it with Republican Gov. Brian Sandoval and listen to Nevadans. Sandoval said he was “disappointed” that the state wasn’t included in conversations about the bill, and feared it would “dramatically” reduce coverage in the state. (Updated on 6/22/17 at 9:10 p.m.) Clark County School District Superintendent Pat Skorkowsky contacted the offices of Sens. 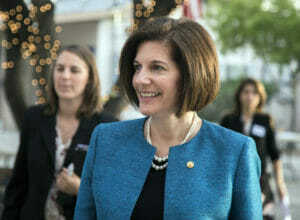 Catherine Cortez Masto and Dean Heller and urged them not to support Medicaid cuts associated with the bill. The school district receives $7 million from Medicaid to serve both low-income students and children with disabilities. Losing that money would result in the district dipping further into its general fund because some of the services provided with those dollars are federally mandated and, therefore, cannot be decreased. “School districts in Nevada are working hard to improve academic outcomes for all students, and that includes the disadvantaged populations that are concentrated in counties like Clark County,” Skorkowsky wrote in a letter to Heller. “A reduction in Medicaid funding will have a severe impact on both the health and education of low-income students, particularly those with disabilities, and must be avoided in the Senate health care bill.” The letter is provided below. What would the Senate bill do? Phases out the Medicaid eligibility expansion starting in 2021, ending in 2024. Roughly 276,400 Nevada residents have been covered since Sandoval decided to expand income eligibility for the entitlement program, which dropped the state’s uninsured rate by nearly 40 percent from 20.7 percent to 12.3 percent between 2013 and 2015. The Senate bill would put annual limits on the amount of money that flows to states for Medicaid starting in 2025. Under the current arrangement, states receive as much money as they need to cover all eligible beneficiaries. Nevada currently spends about $6.4 billion on Medicaid, but state funds only cover roughly $1.1 billion of that total. The federal government covers almost all the costs for the “newly eligible” participants who enrolled under the provisions of the expansion; those participants have higher incomes than recipients who were in Medicaid previously. Ends penalties for people not buying insurance, a provision of Obamacare aimed at pushing younger, healthier people to sign up for insurance and help subsidize older, sicker participants. The so-called “individual mandate” is loathed by many in the GOP. The individual mandate and the employer mandate, which requires large employers to offer health insurance to their workers or face fines, would be repealed retroactively to the beginning of 2016. The bill retains several popular provisions of the Affordable Care Act, and doesn’t change portions requiring insurers to cover people with pre-existing conditions and allowing children to stay on their parent’s health insurance until age 26. Erases a raft of tax increases that have helped offset the cost of Obamacare, but not the “Cadillac Tax” that Heller and the powerful Culinary Union have vocally opposed. That measure, which imposes a 40 percent excise tax on high-cost employer-sponsored health plans, would instead be delayed until 2026 under the Senate bill. 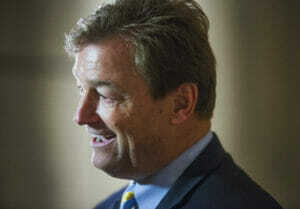 Heller introduced legislation earlier this year to repeal the Cadillac Tax, which is currently scheduled to kick in in 2020. He said 1.3 million Nevadans would feel the pinch if it takes effect. Largely retains Obamacare subsidies through 2018 and 2019, but lowers them to people with incomes of up to 350 percent of the federal poverty line after that (current subsidy limit is no more than 400 percent of the poverty level). It also lowers the “actuarial value” — a measure of the percentage of a health insurance plan paid for by an insurance company, as opposed to out-of-pocket costs — from 70 percent to 58 percent, which could reduce the value of tax credits. According to a June report by the Silver State Health Insurance Exchange, the state has enrolled more than 89,000 people through its insurance marketplace at the end of the January 2017 enrollment period. The exchange reported that roughly 88 percent of Nevada enrollees qualified for tax credits to help offset the cost of insurance. Blocks funding to Planned Parenthood. This is the same as what the House bill proposed. More than 16,000 Nevadans rely on Planned Parenthood services each year, according to Nevada Advocates for Planned Parenthood Affiliates. Creates a short-term stabilization fund to help states balance premium costs. It allocates $15 billion per year in 2018 and 2019, and $10 billion in 2020 and 2021. It also creates a $62 billion fund over 8 years to create a “state innovation fund” to encourage ideas on assisting high-cost, low income individuals in purchasing health insurance. Nevada’s moderate Republican senator, who’s up for re-election in 2018, is an important potential swing vote because the bill will fail if he and two other Republicans defect. On the other side, some Republican senators including Kentucky Sen. Rand Paul say they won’t vote for a bill that doesn’t go far enough to unravel Obama’s signature domestic policy achievement. U.S. Senator Catherine Corte Masto, D-Nev. arrives for an immigration forum hosted by Nevadans for Common Good on Monday, April 17, 2017 at All Saints Episcopal Church. / Photo by Jeff Scheid. The state’s junior senator issued a statement Thursday morning saying the bill was worse than its predecessor. “Leave it to Senate Republicans to come up with a more atrocious, callous version of the House Republican bill to repeal the Affordable Care Act and strip health care from millions of Americans – and hundreds of thousands of Nevadans. Because of the ACA, nearly 400,000 Nevadans have gained access to quality care; Senate Republicans would end Medicaid as we know it, devastating thousands of Nevada’s low-income families, children, and seniors. “The ACA is not perfect and my Democratic colleagues and I are more than willing to work across the aisle to improve the current law so all Americans can have access to affordable, quality health care. Fast-tracking a bill that makes devastating cuts to the health coverage Nevadans rely on in an effort to hide the truth from the public is a reckless and unacceptable way to handle the lives of millions of Americans. Earlier in the day, she compared the legislation to a giant serpent from a children’s book. The basilisk in the Harry Potter series lives in the so-called Chamber of Secrets beneath the dungeons of the mythical wizarding school, Hogwarts, and petrifies victims with its eyes. “Senate Republicans are rallying around a plan that will make health care even more expensive for Nevadans and with the deep cuts to Medicaid, entirely out of reach for some of our families. It’s disappointing to see how far Senate Republicans are willing to go to give the wealthiest among us a tax cut, which this bill pays for by passing the bill to hundreds of thousands of Nevadans, including vulnerable children, women, working families living paycheck to paycheck, and middle class seniors with long-term care needs who rely on Medicaid. “The vast majority of Nevadans oppose this repeal bill because they see it for what it is: a cruel bill that implements a crushing age tax on older Americans, weakens essential health benefits protections, defunds Planned Parenthood, and strips away access to care for our most vulnerable citizens. The freshman congressman issued a statement Thursday saying the bill would be “a tragedy” for the nation. 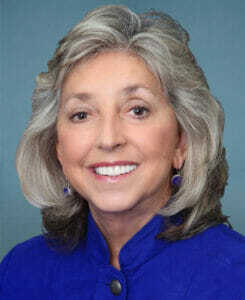 “Today I urged Nevada’s senators and all other lawmakers in Congress to oppose the latest version of Trumpcare,” Rep. Titus said. “The Senate’s version is just as callous and shameless as the House’s disastrous bill. It will eliminate vital care in order to shift billions of dollars to the wealthiest Americans. The repercussions of this law, just to make the rich even richer, are unimaginable. States will have fewer resources and millions will lose their health care as a result. Sandoval said last week that he wouldn’t support a gradual phase-out of the expanded eligible Medicaid population in the state. Two days before the bill was released, Democratic state lawmakers held a phone bank to urge Heller to oppose the then-secret overhaul measure. Democrats passed legislation during the recent legislative session that codified some of the most popular elements of Obamacare into state law. While Sandoval approved two measures, AB249 and SB233, that allowed no-copay contraception as long as it excluded abortion services and other preventative health services, he vetoed a more expansive bill, AB408, that would have ensured young people stay on their parents’ insurance until they’re 26, among other provisions. Another governor-approved bill, SB394, requires the Legislative Committee on Health Care to study issues relating to ensuring Nevadans continue to have the same level of health insurance coverage they do under the ACA even if the legislation is repealed by Congress. Democratic Assemblyman William McCurdy II, who is also the chair of the state Democratic party, called for a groundswell of opposition prior to the Senate bill being publicly released. Nurses and hospital workers with SEIU Local 1107 planned a rally Thursday morning outside of University Medical Center in Las Vegas to protest the health bill and urge Heller to oppose it.